Unknown10:31 PM 0 sweets for free! I have always tried to find ways to preserve my skin for obvious reasons - that I am not getting any younger! What I can do however, is to keep my skin appear younger by taking care of it! 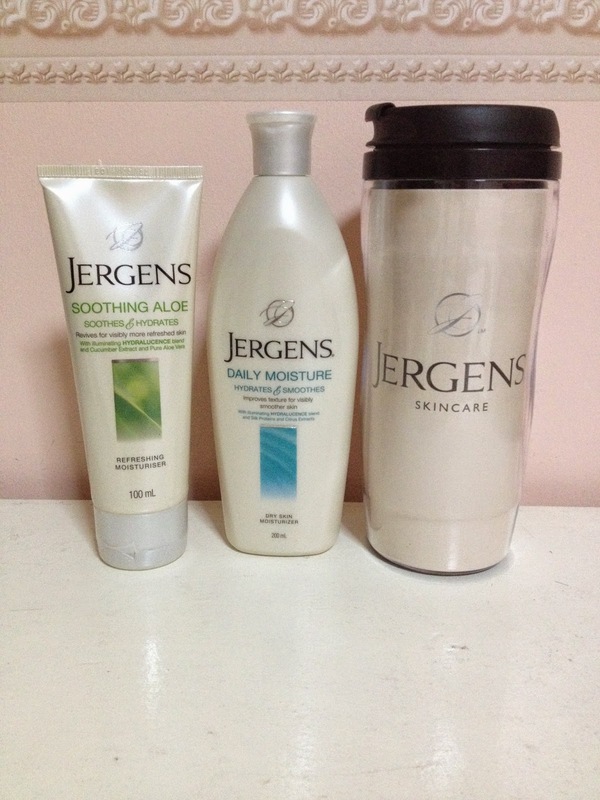 I have accepted the Jergens 7-Day challenge for my blog! I will receive a daily mission every morning and I will do them during the day. I'm always up for any challenge that will bring a positive change in my life! And today, I am touched to know that my first mission involves sharing! Day zero, I received a package from Jergens! I couldn't wait for the mission, I have been trying to guess what challenges they're gonna assign me. And as promised, the day after I got my mission! Take a bottle of Jergens from your welcome pack and share it with a complete stranger. Tell us why you chose that person and her reaction when she received your gift. Tip of the day: Have the confidence to approach anyone with your stunningly beautiful skin. Apply your favorite Jergens variant before embarking on this mission to achieve that instant glow. Then keep applying Jergens twice a day to reveal your most beautiful skin yet. Beauty from within. The beauty of confidence, and the beauty of sharing. I love today's mission. So, I live in a condominium where I have neighbours that I don't know. Really, I always see familiar faces that I cross paths and take elevators with, but never really got to know any of them. Initially, I was planning to go of my condo, but since it was raining pretty hard, I chose the first person I encountered when I opened the door. So there I was, approaching a stranger. Of course I kept thinking, I'm also a stranger to her and I would totally understand if she would feel uncomfortable. But hey, following the tip of the day I just went on and said, "Hi I'm Hannah, your neigbour." She was approachable, but totally confused. I just told her I always see her around and asked her if she would like to have a simple gift from me. Alas, her expression changed from "confused" to "interested". By this time I think she didn't see me as someone who would harm her. She was surprised and accepted my gift. She was all smiles and thanked me. Thank you Jergens, for giving me the opportunity to share today. To know more about skin hydration, click here. *This is a sponsored post for Jergens.